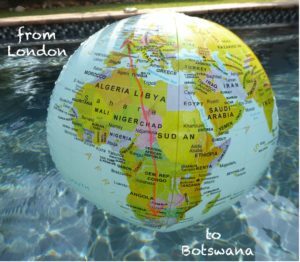 Being a Londoner born and bred, I often dreamt of living somewhere exotic for a stint, so when my husband Jamie came home and said would I like to live in Gaborone for five years, I said yes! 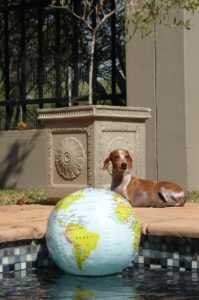 Shortly followed by ‘where is that, exactly?’ Having located Botswana on an inflatable globe we had knocking about the place, my answer was still the same. 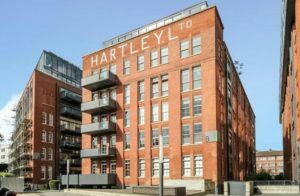 My beloved Grandmother had recently died, leaving us bereft, plus I had sold my business after having our daughter, Ella, so there was nothing tethering us to England. 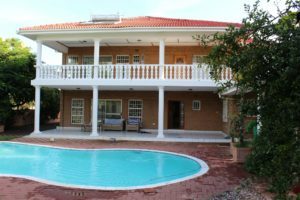 We flew to Gaborone on New Year’s Eve in order to spend the first day of January in our new house, lovingly nicknamed Southfork. 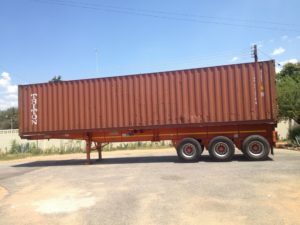 Quite a change from our one and a half bedroomed flat in London, overflowing with our belongings – all of which had been packed up in order to make the nine-week journey to Gaborone by sea-freight. In the mean-time we were to experience minimalism. I had packed a frying pan and various other essentials but, before I had even opened a suit-case, Jamie was sent to India by his work for two weeks – Stressful. Through a recommendation, he arranged for a security guard – we were to expect him before dusk. Sure enough, a-rap-tap-tapping on the gate came Lucky, decked out in top-to-toe camouflage, a beret and a big smile. 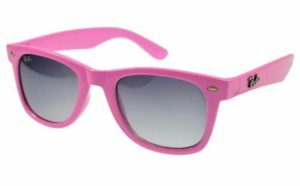 Add to that pink plastic ray-bans. Ha! Laugh or cry, decisions decisions, perhaps a bit of both. We had very little to steal, of course, all our belongings being somewhere in the middle of the sea right now but it is phones, laptops and cash thieves here are generally after, so we were grateful for the protection. Alternating with Lucky was Carbo who, unlike most Batswana people, never smiled – ever. I prepared to tell him and B2, our wonderful helper, that the electric fence surrounding the house was completely broken. I gripped the wires firmly, to clearly demonstrate my point. ‘EYE-YI–YI-YI-YI-YI-YIE!’ I found myself yelling. The fence had sprung to life, giving me a sustained 7-volt shock. I let go as soon as I was able and began to dance on the spot, reciting every swear word I had ever known. B2, previously shy and monosyllabic, laughed hysterically and fell to the ground. She shook uncontrollably, sobbing and holding her ribs. I found myself joining in, tears streaming down my face, glimpsing Carbo only briefly, but long enough to meet his stock expression of absolute solemnity. Enough of all that silliness, though, there were jobs to be done – not least of which was fixing the fence. Bright and early, two reputable companies came to the house – one to fix the fence and the other to quote for installing a green water system. Diligently, I answered various questions. Did we have an existing system? Yes! Was it working? Affirmative! Could I show them? Why sure, no problem. I turned a couple of handles and water squirted from various sprinklers followed by loud shouting. Several men began to leap over bushes into the middle of the garden. I thought perhaps there was a snake or other poisonous creature but of course, idiot me – the fence repair men were getting sprinkled, possibly even electrocuted. In my panic, I could not turn the thing off. The kind irrigation expert eventually took over and the water quickly stopped, by which time we were all pretty much soaked through. I excused myself from our dripping party and took sanctuary in the bathroom where I was planning to re-group. Instead I found myself, for the second time that week, laughing uncontrollably, I could not stop. I laughed as hard as I had cried for the loss of my Grandmother and not long before that, the loss of my mother. I also laughed as hard as I had cried for the family arguments that had somehow sprung out of all the hurt. Clearly there was a deficit desperate for balance and this was the outlet. The jist of a poem by Kahlil Gibran came to me about joy and sorrow being inseperable.